Set under a crisp tropical sky, overlooking the calm inviting ocean and spilling onto a soft milky beach all huddled between beautiful lush gardens is Milky Bay. You can savor sunset cocktails, taste the delectable flavors of Thai cuisine and robust Italian dishes or enjoy a beachfront barbecue Thai Style with Fresh Seafood. Keep yourself busy with the wide range of activities available at the resort, cool your senses with a swim in the pool after a day of adventure and unforgettable images or relax with a massage followed by a herbal steam. If its relaxation and tranquility you’re after or a holiday filled with adventure, then its all waiting for you at Milky Bay. Short Description: Set under a crisp tropical sky, overlooking the calm inviting ocean and spilling onto a soft milky beach all huddled between beautiful lush gardens is Milky Bay. 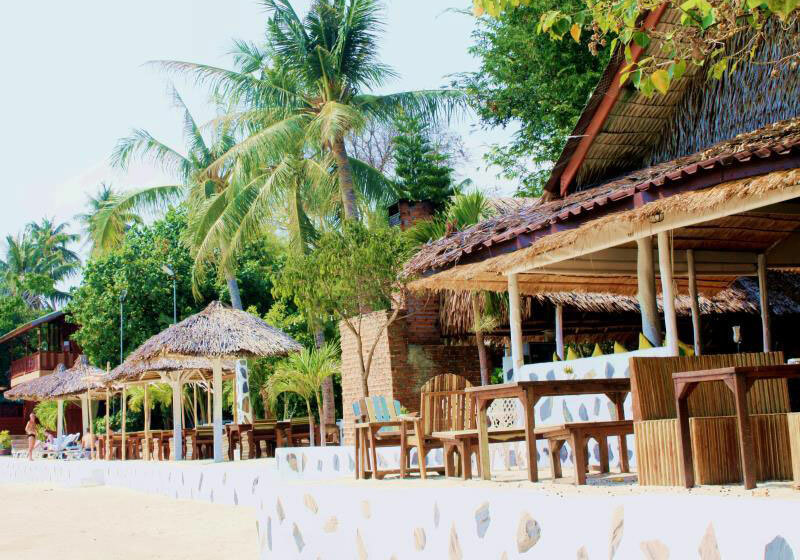 You can savor sunset cocktails, taste the delectable flavors of Thai cuisine and robust Italian dishes or enjoy a beachfront barbecue Thai Style with Fresh Seafood.